I think every dancer has been here: your teacher or coach tells you to do something and you do it. Then they tell you that it wasn’t right and repeat the instruction. So you do it again. They say no again, or they tell you that you need to do it bigger or longer or fuller. But you already feel maxed out on how big, long or full you can get! You don’t understand, why are they telling you that you’re doing it wrong? You did what they told you to do! At least you thought you did. Then there are those times when you think you’ve got your body positioned like it’s supposed to be, but then you’re told that your body looks like it’s just standing there, parked in neutral. What? No, I was stretching so much! This most recently happened to me in foxtrot group class. I was dancing backwards so I was supposed to have my upper body angled forward to counter balance. And I thought I did. Then Teacher mimicked what I looked like and he was basically standing straight. Arrgh! For someone who is a perfectionist when it comes to her dancing, not being able to recognize what is wrong or being unable to feel those often tiny differences between wrong and right is downright maddening. How do I fix something when I don’t know I’m doing it wrong? Teacher gently reminded me that that is what I have him for. That’s not quite good enough for me though, since I have a hard time relying on someone else 100%. So I was also reminded that I have been able to recognize and correct mistakes while dancing, even at competition. The kicker is there are always new mistakes to make! Teacher took a new approach in our last lesson. He said he wanted me to stop worrying so much about dancing the right way and start thinking more about dancing my way. When I hear music, he wants me to stop thinking about the timing and think more about the feel of the music and how I would dance it. To me, this approach means we’ll be focusing more on the emotional and artistic expression of my dancing. It should be fun, being given the freedom to play with musicality and styling without having to worry so much about technique. I’m being given permission to start bending the rules! So naturally, I’m trying not to panic. 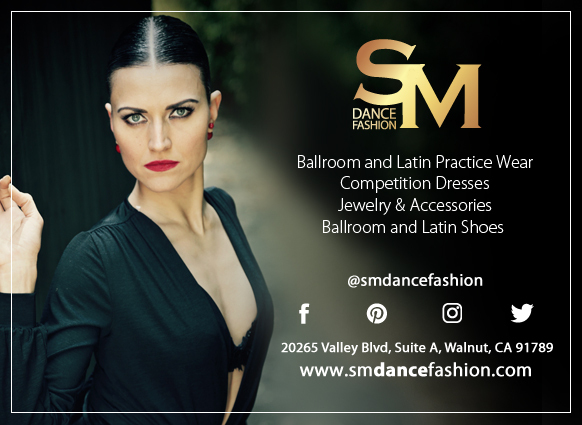 I’ve spent over three years working to become a good ballroom dancer. That’s a lot of time to build up this idea in my idea that being good means being correct. It probably originated from my main education, which was in the sciences. In science, there are right and wrong answers. If you come up with a new answer, you have to provide proof that your answer is a right one. This scientific background has helped me become a strong technical dancer. The technique, though difficult and frustrating, is in my comfort zone. There are rules to follow and they are based in logic. So I just need to understand the logic and apply the rules, and my dancing improves. Dancing is also an art. It is a form of creative expression. Rules can be bent or completely broken if it serves the dancer’s purpose. There are no universal right or wrong answers in creative expression, it is whatever feels right for the individual (or couple in the case of ballroom). And what’s right for one dancer might be wrong for another. You just have to try and fail and try again and fail again until you find what is right for you. I have to figure it out myself. And it could change depending on the music or as my technical dancing advances. Teacher will be there to help me through the trials and errors. But as someone who was a nearly straight-A student in school, not having the right answer when first asked for it is an awful feeling. I feel like a failure before I even try anything. Which is why I know it’s a good thing that Teacher has brought up this new approach while I have no competitions in the foreseeable future. I can explore this side of dancing more without the added pressure of an event looming on the calendar. This scary territory is only scary because it’s unfamiliar. Each baby step I take into it will make it more comfortable to work in. I have many (many!) doubts that I can conquer this territory. Between not having a clear set of right and wrong answers and not wanting to draw attention to myself in general (introvert), especially when I don’t know what I’m doing, I squirm and cringe just thinking about the obstacles I have yet to overcome. But I’m going to try anyway! You and I are completely similar this way–I have the exact same conversations with Boss about trying to do things right! I know someone who says they absolutely cannot feel when their wrist is straight in line with their forearm. To them, there is no difference between holding the wrist straight, and having a 20-degree bend in it – they feel exactly the same, even though you can clearly see one is not straight if they hold it in front of their face. It’s entirely possible that you actually did things differently and you weren’t actually able to feel a difference. Don’t tell people that though, because then they start recording you doing everything and making you watch yourself. Sigh… that’s the part I don’t like. It’s like we take dance class together! The feeling of failing repeatedly and not having the right answer right away can be so demoralizing. And yet, I keep going to group classes and privates, when I can and being open to being teachable. I love dancing! In addition to the joy that it brings, it has helped me to correct this arrogant notion that I get to be an expert at something after a few months. When I get frustrated that I can’t make my body understand how to move even though my mind knows I am reminded that my teacher has been dancing for ten years. Why do I think I get to circumvent all the sweat equity that goes into being great at anything?